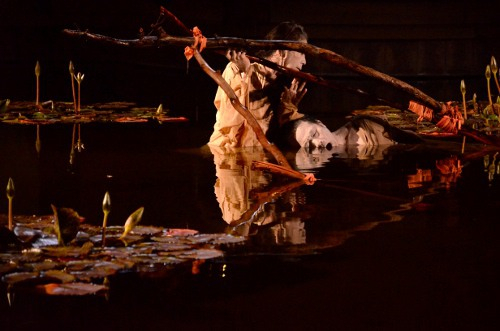 Eiko & Koma performed Water in a garden pond of Skirball Cultural Center on September 9 and 11, 2011. 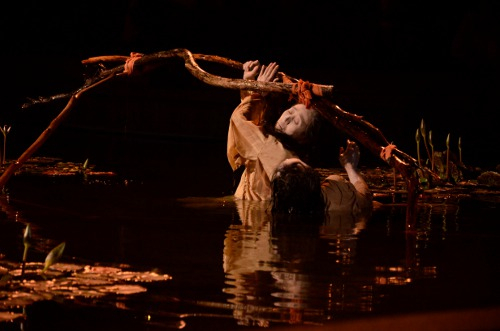 On September 9 and 11, 2011, Eiko & Koma performed Water in a garden pond of the Skirball Cultural Center, Los Angeles. More than 300 people attended this free admission event each night. 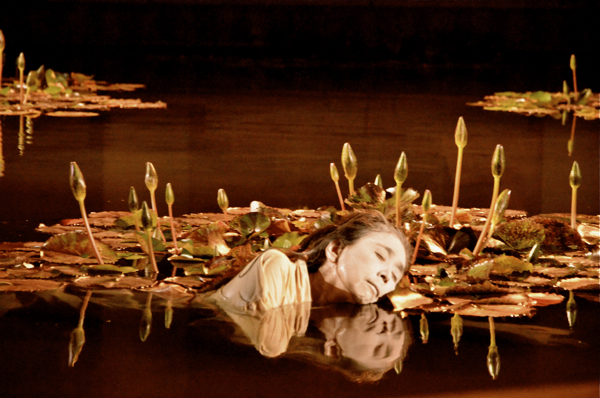 This is the third time Eiko & Koma performed in this pond that is filled with water lilies.